In a city as big as San Antonio you know there is more than one carpet cleaning company. There are countless carpet cleaners in San Antonio but who can you trust and who is going to get the job done without having to pay a fortune. If you shop on Craig’s List you are more then likely to find a cheap carpet cleaner. However, just because someone advertises themselves as a carpet cleaning company and offers a cheap price doesn’t mean they know what they are doing or that the job will get done right. Most carpet cleaners advertising on Craig’s List are using portables that will not get to the temperature that it needs to in order to efficiently sanitize your carpet and to remove spots and stains. Craig List carpet cleaning San Antonio will always be a risk. Then you have your “professional carpet cleaners”. These you usually google or find somewhere on the internet but just because they have a website and reviews doesn’t mean they are “professionals”. There are some carpet cleaners that get into the business and pay someone to design a website and enter fake reviews. This is how they draw in customers and then take them for their money. You could schedule an appointment and they may not even show up. 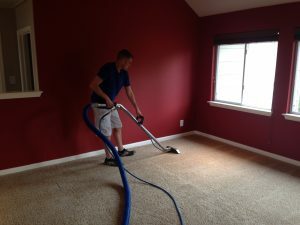 When carpet cleaning San Antonio you must do your research and it is because of situations like this that many people tend to use well know names or national name brand carpet cleaners. These well known carpet cleaners can often charge more then you want to spend. However, using a big name carpet cleaners doesn’t mean that they will properly clean your carpets. In all of San Antonio there isn’t a name more well known in the service industry then Beyer. This is why you can trust Beyer Carpet Cleaning. No they aren’t a national name but they are a trustworthy name and you know their website and reviews are legitimate. Beyer Carpet Cleaning San Antonio is taking carpet cleaning to the next level. With 5 star reviews across the internet and affordable pricing Beyer Carpet Cleaning is your favorite carpet cleaner. Their cleaning is unlike any other. They clean the best so they can beat the rest. They take their cleaning jobs seriously because they never want to have an unsatisfied customer. With great pricing, quality cleaning, a trustworthy name, and unbeatable customer service Beyer Carpet Cleaning San Antonio is your company!